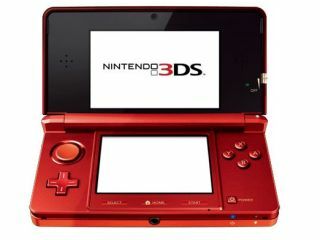 Nintendo has revealed the full line-up of games to be available on 25 March when the Nintendo 3DS launches in the UK. Pilotwings Resort promises to make good use of the device's 3D view to explore Wuhu Island from the air. Meanwhile,Street Fighter IV 3D edition will also be available, with 35 characters, bonus stages and "cinematic" ultra combos, as well as online multi-player mode. Non-Nintendo games available on launch day include Sims 2, PES 2011 3D, Lego Star Wars III: The Clone Wars, Ridge Racer 3D, Super Monkey Ball 3D, Samurai Warriors: Chronicles, Asphalt, Splinter Cell 3D and Rayman 3D. Coming soon, Nintendo promises, are classic favourites like The Legend of Zelda: Ocarina of Time 3D, Mario Kart, Paper Mario and Animal Crossing. One week after launch you can look forward to titles including Resident Evil: The Mercenaries 3D, Crush 3D, Thor: God of Thunder and James Noir's Hollywood Crimes are coming around one week after the launch. A DS launch wouldn't be complete without Nintendogs, three iterations of which are available on day one including Golden Retriever, French Bulldog, Toy Poodle and friends. A 3D Nintendog with augmented reality is really nearly a real dog – at least, that's what you can tell your kids.